The 6 Biggest Mistakes the Credit Card Processing System Makes with Small Business – and How to Prevent and Recover from Them! 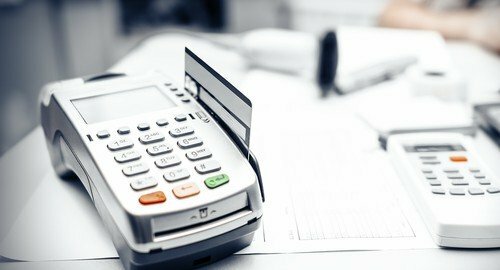 When it comes to credit card processing, every business has unique requirements. For example, small businesses have very different needs to larger firms over their credit card processing. Despite this, the system tends to adopt a ‘one size fits all’ model to the detriment of smaller firms. Here are 6 ways that the processing system serves small companies poorly, and what you can do to stop them hurting your business finance. 1. They’re not forthcoming with important information. Let’s face it, most small business owners don’t know much about things like interchange fees or why they have to pay them. There are enough things to worry about in the workaday world! However, card processing companies are often rather circumspect in the information they provide to clients. You’re the customer so don’t be afraid to ask questions. If you need instruction on how to batch-process or anything else, make sure you get it – it’s what you’re paying for. 2. They hide their fees. Small business owners regularly complain that credit card processors are – shall we say – less than upfront about the fees they charge clients. Interchange fees are often left off the initial contract, despite the fact that you may be paying them from day one. To combat such oversight, make sure you get all possible fees you may be charged in writing. If you see a fee on your monthly bill that you weren’t expecting, call up and query it. 3. Signing up takes forever. Remember how long it took you to get signed up to that card processing company? You probably had to take many hours out from your valuable core business to answer questions or provide supporting evidence for your application. It’s no wonder providers are often seen as resting on their laurels when it comes to customer support – they make it so hard to sign up that no one ever wants to leave! There’s not a lot you can do about this annoyance, apart from get all your financial data well-organised and in one place. That way you should be able to get everything done in a single meeting. 4. They won’t tell you where you can make savings. There’s a good chance your merchant card processor provides a cheaper deal for small businesses. There’s also a good chance you haven’t been told about it. Reviewing existing accounts diligently and ensuring client satisfaction isn’t foremost among processing companies. To ensure you get the best deal on offer, check at least once a year to see if you can lower your fees. If your business receipts have been heading northwards, there’s a good chance you’ll be able to negotiate a better rate. 5. They’re behind the times. When it comes to payment options, there are a lot of new kids on the block these days. PayPal, Square, Google Wallet, Braintree, Skrill – the list goes on. With so many new ways to pay, your card processing machine may end up gathering dust alongside your floppy disk collection. To stay up to date, consider offering mobile or online payments to your customers. Having a card swiper that you can connect to your laptop or tablet is far simpler than using a larger machine and perfect for processing payments on the move. 6. Payments take too long to come through. In the immortal words of Jerry Maguire, “Show me the money!” Why do so many card processors take days or even a week to settle accounts and credit your bank account? You’re not Tesco or Top Shop – you need your money now! Try to minimise processing delays by finding out upfront what your provider’s turnaround time will be. If it sounds unacceptably slow, shop around for a speedier service. Treat your merchant card processing system just as you would any aspect of your business -do your research, ask the right questions, shop around and get the best deal possible. Understanding the system – and demanding more from your service provider – will help you get the most out of your customer experience.